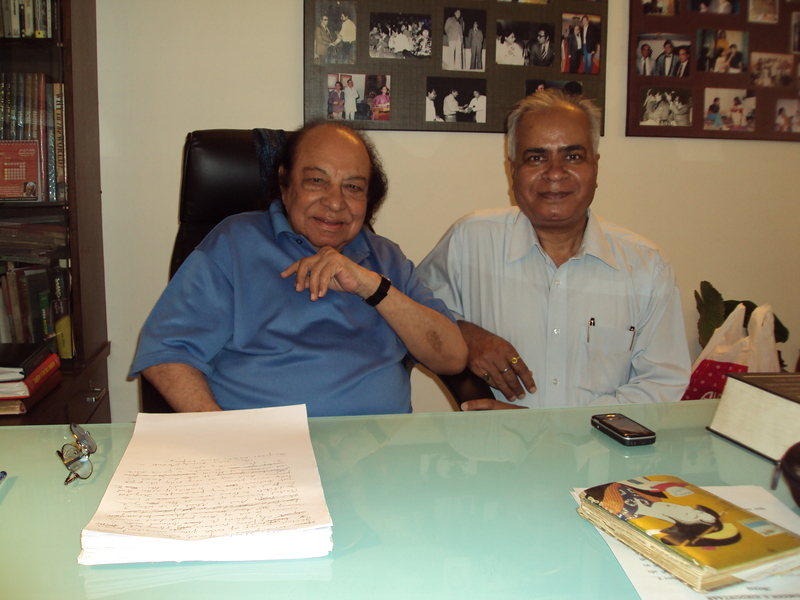 MUMBAI – MAHARASHTRA – INDIA APRIL 30 , 2013 07.00 P.M.
Shamshad Begum was one of the first playback singers in the Hindi film industry. 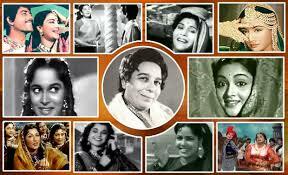 She had sung over 6000 songs in Hindi , Bengali, Marathi, Gujarati, Tamil and Punjabi languages. Her songs from the 1940s to the early 1970s remain popular and continue to be remixed. 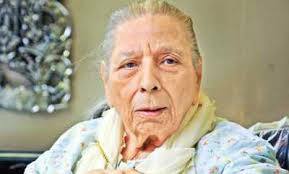 Shamshad Begum died this month on April 23 , 2013 at the age of 94 and I am forced to write 7th obituary in continuation in the month of April . 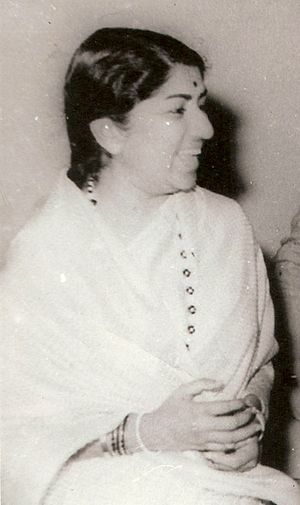 Shamshad Begum , along with Noor Jahan and Amirbai Karnataki , dominated the pre-Lata Mangeshkar era in Indian playback singing . Among female playback singers , She was blessed with a distinct voice with slight nasal twang and any lover of Hindi film music can immediately recognize her voice . 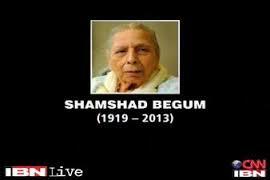 Since I was born and brought up in the Lata Mangeshkar era , I was not a fan of Shamshad Begum’s voice initially. But slowly , as my understanding grew , I started appreciating her voice . 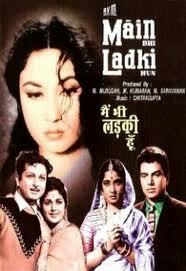 The first song of hers , which caught my fancy , was ” Pee Ke Ghar Aaj Pyari Dulhaniya Chali ” . 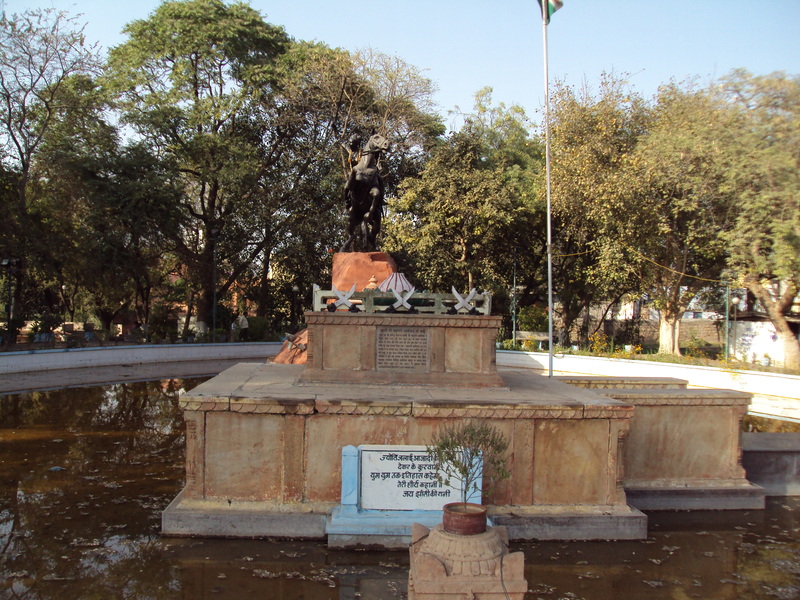 This ” Mother India ” [ 1957 ] song was immensely popular . Other songs of the same film ; ” Holi Ayee Re Kanhayi Rang Chhalke Suna De Zara Bansuri ” and ” Gadiwale Gadi Dheere Haank Re “ are also hit even today . Then I watched ” Mughal – E – Azam ” [ 1960] and its immortal qawwali is still fresh in my mind . 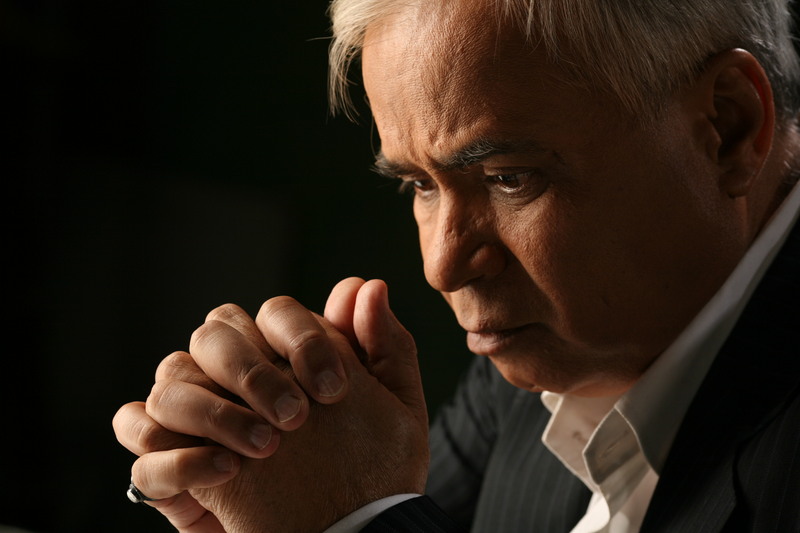 ” Teri Mehfil Me Qismat Azma Ke Hum Bhi Dekhenge “ is a connoisseur’s delight . Then I watched ” Aan ” [ 1952 ] and I was permanently hooked to Shamshad Begum’s voice . All her popular songs , like ; ” Aag Lagi Tan Man Me Dil Ko Pada Thamna , Ram Jaane Kab Hoga Saiyyan Ji Ka Samna ” and ” Khelo Rang Hamare Sang Aaj Din Rang Rangeela Aaya “ are still my favourites . But ” C. I. D. ” [ 1956 ] was another revelation . 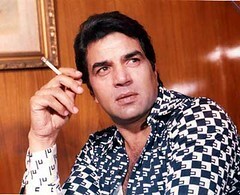 ” Le Ke Pehla Pehla Pyaar , Bhar Ke Aankhon Me Khumar ” and ” Kahin Pe Nigahen Kahin Pe Nishana , Jeene Do Zalim Banao Na Deewana “ are just immortal . It is surprising that I heard her most popular song very late in my life . 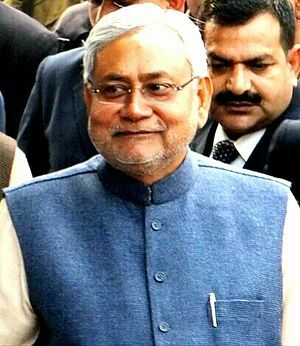 ” Mere Piya Gaye Rangoon Kiya Hai Wahan Se Telefoon , Tumhari Yaad Satati Hai “ . This song from ” Patanga ” [ 1949 ] is unforgettable and its several re-mixed versions are still extremely popular . ” Naya Daur ” [ 1957 ] film’s ” Reshmi Salwar Kurta Jaali Ka “ was a craze of its time . Her last hit ” Kajra Mohabbatwala Ankhiyon Me Aisa Dala “ from ” Kismat ” [ 1969 ] is one of the songs which was re-mixed again & again . 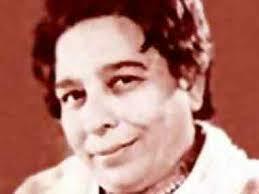 Shamshad Begum’s career was somewhat eclipsed with the advent of Lata Mangeshkar . She sang her first duet ” Dar Na Mohabbat Kar Le “ with Lata Mangeshkar in ” Andaz ” [ 1949 ] and her last duet with Lata Mangeshkar was ” Teri Mehfil Me Qismat Azma Kar Hum Bhi Dekhenge “ from ” Mughal – E – Azam ” [ 1960 ] . Within these 13 years Shamshad Begum’s career went downhill and after giving her last hit ” Kajra Mohabbatwala “ in 1969 , she bid adieu to playback singing . 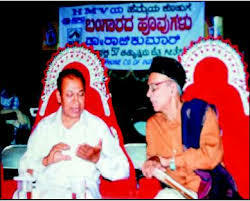 Shamshad Begum’s fans often allege that her career suffered because of the monopolistic politics of Lata Mangeshkar . I beg to differ . 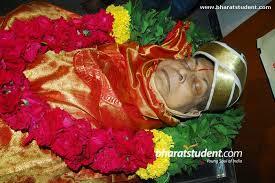 Shamshad Begum played her innings and retired gracefully . Her career suffered because of the changing times and changing taste of film-goers . 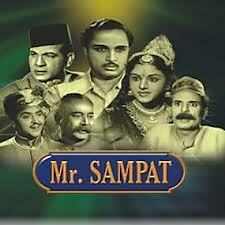 Talat Memood’s career went downhill with the advent of Mohammad Rafi . 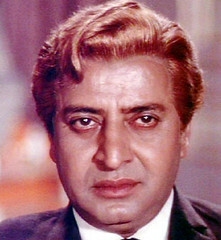 Even mighty Mohammed Rafi , towards the end of his career , was confined in his home for many years without recording a single song and Kishore Kumar ruled that era . In the field of art such things happen . Her distinct style , her nasal twang and her strong voice , which was her forte in the earlier years of her career , became her nemesis towards the end . It is not for nothing that towards the fag-end of her career , her voice was used for vamps and her last hit ” Kajra Mohabbatwala “ in ” Kismat ” [ 1969 ] was filmed on Vishwajeet , who was masquerading as woman in the said film . On behalf of all the students and staff of VIDUR Acting Institute , which is known as Vidur’s Kreating Charakters , I offer my condolences to the family of the iconic singer . Self-proclaimed most famous acting school of Mumbai , self-anointed most famous acting institute of India and self-appointed most famous acting academy of bollywood has no time for such courtesy . May her soul rest in peace ! 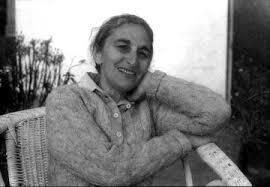 Her ephemeral body is gone but her perennial voice , the temple bell , will live on forever . MUMBAI – MAHARASHTRA – INDIA APRIL 18 , 2013 10.45 P.M. This is my 6th obituary in April and the month is yet to get over . I am extremely sad that in April so many luminaries from various walks of life left us for their final journey . First Hugo Chavez , then B. M. Vyas , then Ruth Prawer Jhabvala , then Roger Ebert , then P. B. Sreenivas and now Margaret Thatcher , The Iron Lady , the first and only woman Prime Minister of Great Britain also left us . Margaret Thatcher was not only the first woman Prime Minister of Britain but she was one of the longest-serving Prime Minister of the country . Margaret Thatcher was the Prime Minister of the United Kingdom from 1979 to 1990 and the Leader of the Conservative Party from 1975 to 1990. A Soviet journalist called her the “Iron Lady“, a nickname that became associated with her uncompromising politics and leadership style. 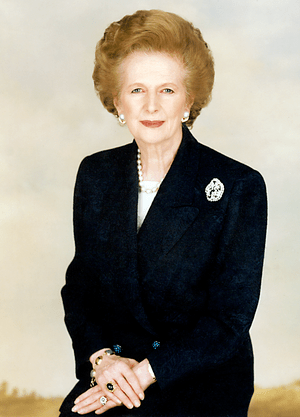 As Prime Minister, she implemented policies that have come to be known as Thatcherism. Edward Heath appointed her Secretary of State for Education and Science in his 1970 government. In 1975, Thatcher defeated Heath in the Conservative Party leadership election to become Leader of the Opposition and became the first woman to lead a major political party in the United Kingdom. 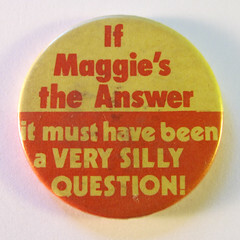 She became Prime Minister after winning the 1979 general election. While in the office , Thatcher introduced a series of political and economic initiatives intended to reverse high unemployment and Britain’s struggles in the wake of the Winter of Discontent and an ongoing recession . Her political philosophy and economic policies emphasised deregulation , flexible labour markets, the privatisation of state-owned companies, and reducing the power and influence of trade unions. The 1982 Falklands War brought a resurgence of support for her , resulting in her re-election in 1983. Thatcher was re-elected for a third term in 1987. During this period her support for a Community Charge (popularly referred to as “poll tax”) was widely unpopular and her views on the European Community were not shared by others in her Cabinet. She resigned as Prime Minister and party leader in November 1990, after Michael Heseltine launched a challenge to her leadership. After retiring from the Commons in 1992, she was given a life peerage as Baroness Thatcher, of Kesteven in the County of Lincolnshire, which entitled her to sit in the House of Lords. She effectively retired from politics due to ill-health in 2002 following a stroke, and on 8 April 2013, she died of another stroke in London at the age of 87. 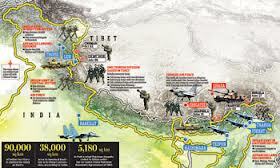 These days world is ravaged by the numerous small and big battles being fought in the various countries of the world . But in those comparatively peaceful days , the 1982 Falklands War is the only war , apart from Indo-China War in 1962 and Indo-Pakistan Wars in 1965 & 1971 , which I vividly remember . I started admiring Margaret Thatcher after the Falklands War . I am not a war-monger , but I liked the way Margaret Thatcher handled the Falklands crisis . My admiration for her became stronger when I read about her bold decisions , which she took for the betterment of her country . It is not for nothing that she is admired by so many people all over the world . It is disgusting that a microscopic minority is celebrating her death . At least they should learn to respect an old lady , who served her country to the best of her ability and served with true grit and unflinching determination . Two images which I have posted above are in bad taste . This is not the way to treat a lady , an old lady , a dead lady . But figure bears true testimony . There were more than 4000 well-wishers clapping all along the way and there were only 200 ill-wishers showing their back and shrieking , ” witch …… witch ……… witch . I condemn these uncouth protesters . On behalf of all the students and staff of VIDUR Acting Institute , which is known as Vidur’s Kreating Charakters , I offer my heartfelt condolences to the near and dear ones of Baroness Thatcher . My acting institute is not the most famous acting school of Mumbai , or the most famous acting institute of India and or the most famous acting academy of bollywood , but I consider it my duty to offer my condolences and express my respect for the one of the greatest British leaders of our time . MUMBAI – MAHARASHTRA – INDIA APRIL 11 , 2013 04.35 P.M.
Roger Ebert , the renowned US film critic and TV anchor , who was almost as famous as many of the Hollywood stars , died on April 04 , 2013 aged 70. It is sad that I got introduced to his world very late in my life . I am thankful to internet that I could know him intimately through his blogs , his twitter-handle and his hugely popular columns in newspapers . Now I do follow him on twitter but it all started recently . It all began just now . ” No good film is too long and no bad movie is short enough ”. Roger Ebert was an American journalist, film critic, and screenwriter . He was a film critic for the Chicago Sun-Times from 1967 until his death . In 1975, he was the first film critic to win the Pulitzer Prize for Criticism, an award given to newspaper writers . 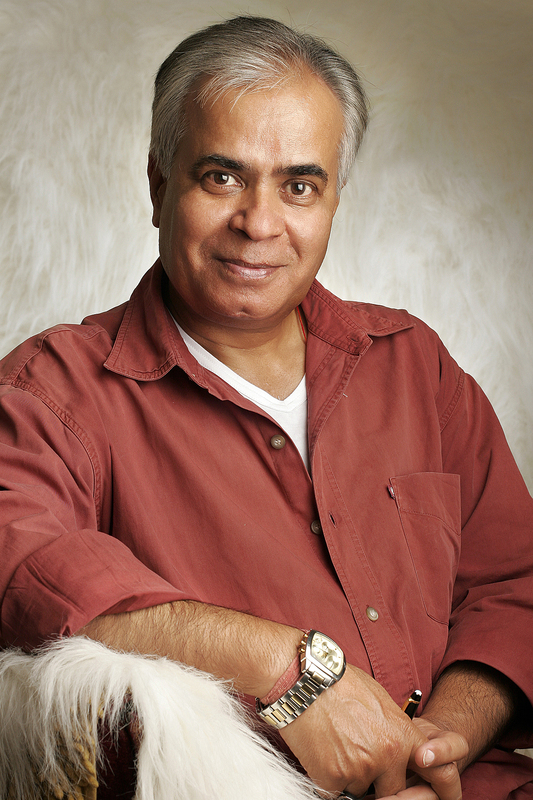 As of 2010, his reviews were syndicated to more than 200 newspapers in the United States and abroad . 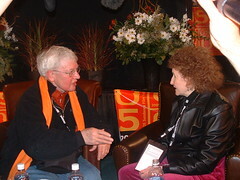 Ebert also published more than 20 books and dozens of collections of reviews . Described as a “critic with the soul of a poet” Roger Ebert was named the most powerful critic in America by Forbes in 2007. 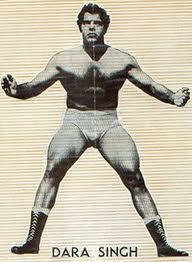 But two days later on April 04 , 2013 , he died early in the afternoon at the Rehabilitation Institute of Chicago. Ebert, a guest lecturer at the University of Chicago, was said to have been “prolific, almost to the point of disbelief” with the weekend section of the Sun-Times often featuring as many as nine of his interviews, profiles and reviews. 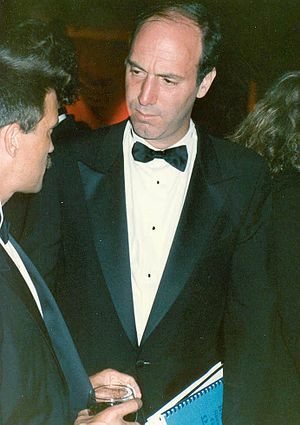 His work included interviews and profiles of notable actors and directors in addition to his reviews – celebrating such legends as Alfred Hitchcock, John Wayne and Robert Mitchum. In 1969 he took a leave of absence from the Sun-Times to write the screenplay of ” Beyond the Valley of the Dolls “ for Russ Meyer . He also found television fame on Sneak Previews on PBS . 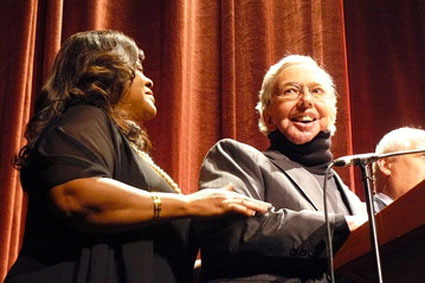 It made Ebert a household name along with fellow critic Gene Siskel – who died in 1999 . Ebert’s television career was curtailed in 2002 when he was diagnosed with papillary thyroid cancer. He was unable to speak and eat after further surgery in 2006. His thumbs up and thumbs down reviews were very famous among the connoisseurs of cinema , who read his column or watched his show . Ebertfest, my annual film festival, celebrating its 15th year, will continue at the University of Illinois in Urbana-Champaign, my alma mater and home town, April 17-21. In response to your repeated requests to bring back the TV show “At the Movies,” I am launching a fundraising campaign via Kickstarter in the next couple of weeks. And gamers beware, I am even thinking about a movie version of a video game or mobile app. Once completed, you can engage me in debate on whether you think it is art. Of course, there will be some changes. The immediate reason for my “leave of presence” is my health. The “painful fracture” that made it difficult for me to walk has recently been revealed to be a cancer. It is being treated with radiation, which has made it impossible for me to attend as many movies as I used to. I have been watching more of them on screener copies that the studios have been kind enough to send to me. My friend and colleague Richard Roeper and other critics have stepped up and kept the newspaper and website current with reviews of all the major releases. So we have and will continue to go on. At this point in my life, in addition to writing about movies, I may write about what it’s like to cope with health challenges and the limitations they can force upon you. It really stinks that the cancer has returned and that I have spent too many days in the hospital. So on bad days I may write about the vulnerability that accompanies illness. On good days, I may wax ecstatic about a movie so good it transports me beyond illness. I’ll also be able to review classics for my “Great Movies” collection, which has produced three books and could justify a fourth. 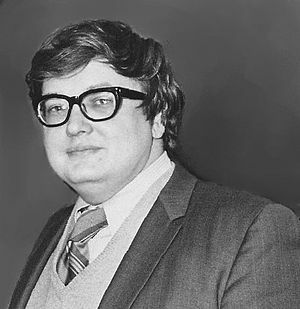 For now, I am throwing myself into Ebert Digital and the redesigned, highly interactive and searchable Rogerebert.com. 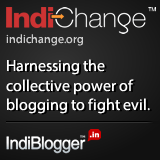 You’ll learn more about its exciting new features on April 9 when the site is launched. In addition to housing an archive of more than 10,000 of my reviews dating back to 1967 we will also feature reviews written by other critics. 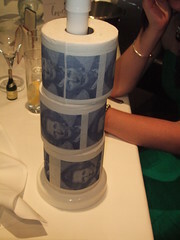 You may disagree with them like you have with me, but will nonetheless appreciate what they bring to the party. Some I recruited from the ranks of my Far Flung Correspondents, an inspiration I had four years ago when I noticed how many of the comments on my blog came from foreign lands and how knowledgeable they were about cinema. We’ll be recruiting more critics and it is my hope that some of the writers I have admired over the years will be among them. We’ll offer many more reviews of Indie, foreign, documentary and restored classic revivals. As the space between broadcast television, cable and the internet morph into a hybrid of content, we will continue to spotlight the musings of Pulitzer Prize-winning TV critic Tom Shales, as well as the blog “Scanners” by Jim Emerson, who I first met at Microsoft when he edited Cinemania. The Ebert Club newsletter, under editor Marie Haws of Vancouver, will be expanded to give its thousands of subscribers even bigger and better benefits. For years I devoutly took every one of my tear sheets, folded them and added them to a pile on my desk. The photo above shows the height of that pile in 1985 as it appeared on the cover of my first book about the movies published by my old friends John McMeel and Donna Martin of Andrews & McMeel. Today, because of technology, the opportunities to become bigger, better and reach more people are piling up too. 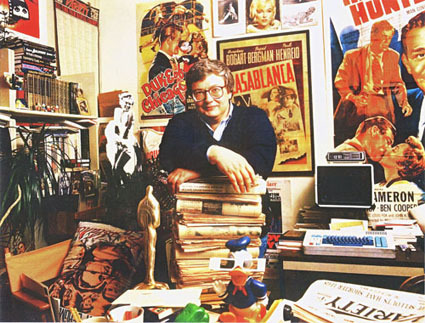 The fact that we’re re-launching the site now, in the midst of other challenges, should give you an idea how important Rogerebert.com and Ebert Digital are to Chaz and me. I hope you’ll stop by, and look for me. I’ll be there. On behalf of all the students and staff of my acting institute Vidur’s Kreating Charakters , I offer my condolences to Ebert’s wife Madame Chaz Hammel-Smith and his family and admirers . I may not be running the most famous acting school of Mumbai , or the most famous acting institute of India , or the most famous acting academy of bollywood , or the most famous acting institute of the world , I may be small and very insignificant , but I thought it proper to offer my condolences to Madame Chaz and show my respect to the most famous film critic of the world . On his death even Barack Obama , the president of United States of America , expressed his grief . 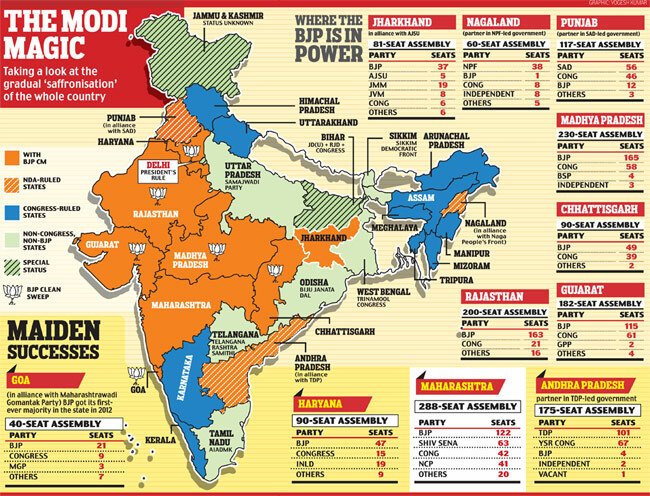 It shows his stature and importance . Rest in peace sir ! You will be missed a lot . 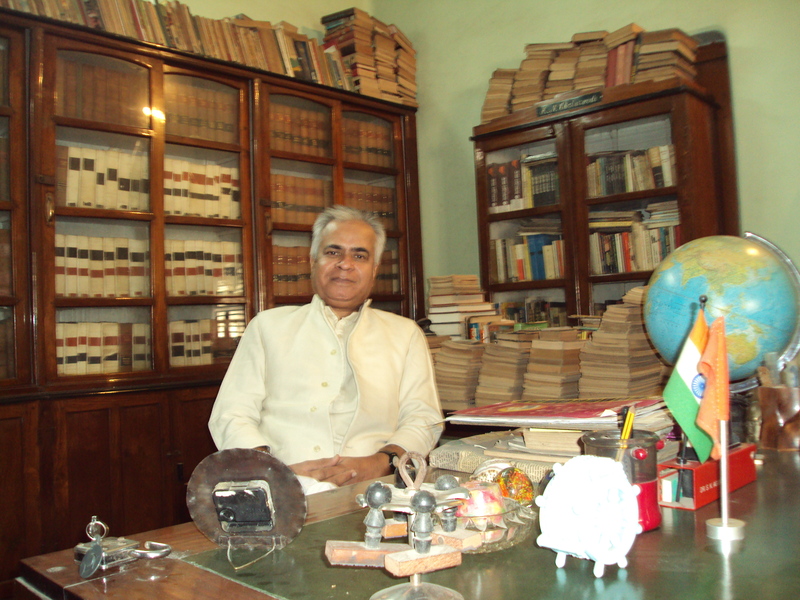 I will always be in touch with you through your website and your books . I will always regret the fact that I came to know you when the end was so close . MUMBAI – MAHARASHTRA – INDIA APRIL 10 , 2013 01.10 A.M.
She was a German-born British and American Booker prize-winning novelist, short story writer and two-time Academy Award-winning screenwriter. 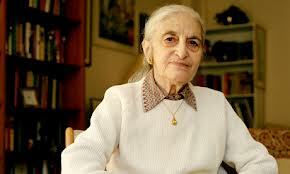 Ruth Prawer Jhabvala wrote a dozen novels, 23 screenplays and eight collections of short stories . She was made a CBE in 1998 . She is the only person to ever have won both a Booker Prize and an Oscar. 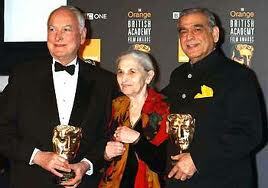 She mainly wrote screenplay for Merchant Ivory Productions . 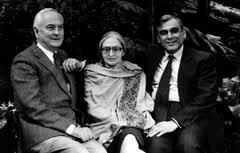 In 1963, Jhabvala was approached by James Ivory and Ismail Merchant to write a screenplay for their debut film ” The Householder ” based on her 1960 novel. The movie, released by Merchant Ivory Productions in 1963 and starring Shashi Kapoor and Leela Naidu met with critical praise and it marked the beginning of a partnership that resulted in over 20 films. The Householder was followed by Shakespeare Wallah (1965) , Roseland (1977) , Hullabaloo Over Georgie and Bonnie’s Pictures (1978) , The Europeans (1979) , Jane Austen in Manhattan (1980) , Quartet (1981) , The Courtesans of Bombay (1983) , Heat and Dust in (1983 ) , The Bostonians (1984) , Madame Sousatzka (1988) , Mr. and Mrs. Bridge (1990) , Jefferson in Paris (1995) , Surviving Picasso (1996) , A Soldier’s Daughter Never Cries (1998) , the screenplay for which she co-authored with Ivory, The Golden Bowl (2000) and The City of Your Final Destination (2009) which was adapted from the eponymous novel by Peter Cameron and was her last screenplay.Le Divorce which she co-wrote with Ivory was the last movie that featured the trio of Merchant, Ivory and Jhabvala before Merchant’s death that year. She won her first Academy Award for her screenplay for A Room with a View (1986) and won a second in the same category for Howards End (1992) . She was nominated for a third Academy Award for Best Adapted Screenplay the following year for The Remains of the Day (1993) . The Nature of Passion (1956). She will be missed . I saw her film ” The Householder ” in Palace talkies of Allahabad and was moved that two Indian actors ; Shashi Kapoor and Leela Naidu , played the main protagonists in the film , which she wrote . 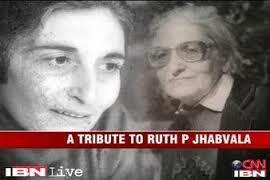 Though at that time I didn’t know that the writer of the film is Ruth Prawer Jhabvala . 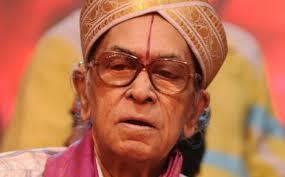 On behalf of all the students and staff of my acting institute Vidur’s Kreating Charakters , I offer my condolences . May her soul rest in peace !